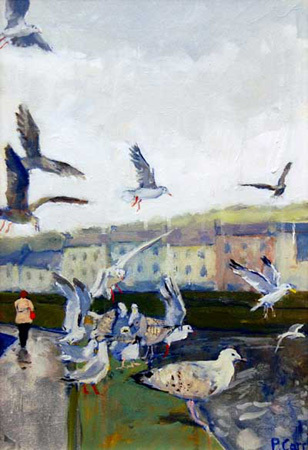 Patricia Carr is a painter living and working in West Cork. 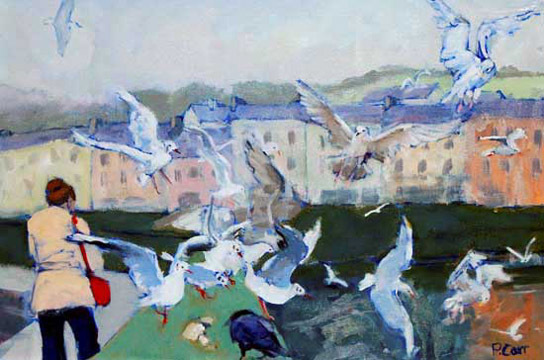 She was born in Co. Down in 1965 and has a degree in Drawing and Painting fom Edinburgh College of Art. She worked for 15 years as a qualified Senior Art Therapist in the NHS in N. Ireland and Scotland, creating a safe environment where adults and children in emotional distress could use art as a vehicle for communication and self expression. the physicality of paint. Themes such as vulnerability and strength, constriction and freedom have emerged. 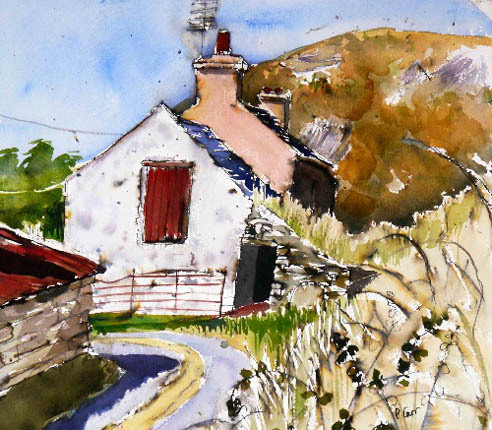 Previously she worked mainly in watercolour and is excited about a technique she is developing in oils that pushes forward a free and expressive use of paint that she had established in watercolours. 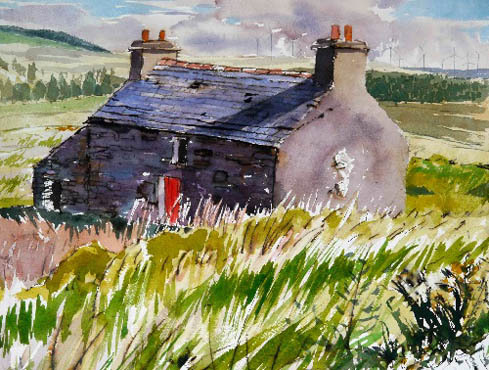 She is a member of the Watercolour Society of Ireland. and won the ‘President’s Award’ at the members’ exhibition in 2012. She also completed a number of mural commissions both public and private, in and around Ballydehob within the last year.